The history of motor racing is rich in lore. Heroic tales of victory and tragedy abound, and some classic race tracks that are still in use today elicit a magical atmosphere, as if the ghosts of race drivers past still watch over the action on track. Some of the classic tracks have been significantly altered over the years, and some bear only a slight resemblance to their original incarnations. Here are some of the greatest and most significant race tracks that are still in use today. 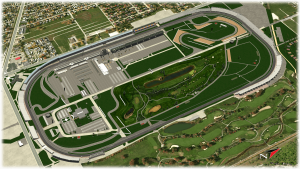 The Indianapolis Motor Speedway is the oldest race track in the world that is still in use. It was the first purpose-built motor racing facility in the US, and the second in the world after Brooklands. The track is a 2.5 mile rectangular oval, with four banked corners. An infield road course was added in 2000, and held the US Grand Prix between 2000 and 2007. The track was originally paved with bricks, earning it the nickname “Brickyard”. A one yard strip of the original bricks remain today on the start-finish line. This iconic Belgian circuit in the vicinity of the Ardennes Forest initially used public roads. After WWII the layout changed somewhat. A permanent section followed in 1981, and the track finally became a permanent circuit in 2003. This Italian circuit, which is still part of the Formula 1 calendar, was built in the shape of the country’s “boot” outline. It still maintains the same shape. A banked oval was added in 1954, and races were held on it until 1969. This German circuit in the Eiffel mountains was constructed as a work creation programme, and is still a major source of income for the region. The Nordschleife (northern loop) still hosts races, but anything faster than GT3 cars are confined to the modern Grand Prix circuit.